iMessage On PC – The social messenger apps are in a great demand all over the world, no matter what device you are using. There are different varieties of messaging apps you will see in the Play store of your corresponding devices, like Android, Windows, or iOS. Of course, every user wants to install the best and most popular social messenger apps to do conversations with others, like friends, family members or other loved ones. These days, for an iOS device, one of the most popular apps is the iMessage. In fact, it is an instant messaging service available in the iOS devices. This post is based on iMessage, how to download iMessage on PC and how to use it. 2 Using iMessage on PC! Being a secure, fast and reliable service, iMessage has been used by Apple users all over the world. It is created and hosted by Apple. This is why it cannot be used on other devices in the smartphone industry. It is a limited service, saying that it cannot be run on a windows computer. Of course, it seems to be impossible for windows users to use this app on their devices. All thanks to the jail-breaking method, it is assured that there are some methods, which can help you in running this service on other devices. It is all about using the imessage on pc. Now, it has become very easy and quick to use this service on any of other devices. It is all possible with the help of the remote messages. 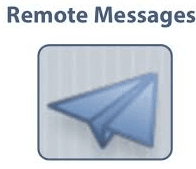 This tweak revolves around the remote messages. It is completely a new add-on to the imessage service. This guide includes a right way to use the imessage on a PC, or any iOS device. See how it can be used, just by taking care of some considerations. 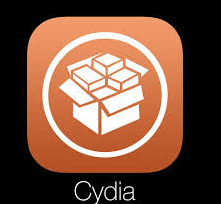 First of all, you need to open up the ‘Cydia’ and start searching for the ‘Remote messages.’ You will see different versions of Remote messages for different versions for iOS devices, like iOS 7, iOS 8 and ios 10 so on. It is important to choose the best suitable version, according to the version of your version. So, prior to getting started with this process, it is a great idea to check your software version. It will ask you to pay the price and then proceed with the needed. Then, the installation process will be started. Once you are done with this process, start navigating to ‘Remote messages’ in Settings. Then, start creating a username and password. Make sure to use easy passwords that you can remember. It will be done under ‘Use Authentication’, Which must be toggled ON. Now, you can move accordingly. It is important to keep in mind; your iOS device and Windows machine always connected to the same internet connection that is, WI-Fi. Provided that you have done this connection, now, open up the browser on your computer or laptop and type the IP address as displayed under the Enable toggle. After entering the IP, it is important to enter a colon, which is followed by the server port as shown under the IP address that will be obtained in the settings of ‘Remote messages.’ It will be 333. Like, if your IP address is 192.168.1.23 and server port is 333, you need to enter like this 192.168.1.23:333 into the browser, which you have opened on your computer before. Make sure to enter the right IP address, if you want to access imessage on pc easily and quickly. Get ready to put your device into sleep mode and start responding to messages right from the browser. It is a kind of re-routing, instead of being a genuine iMessage client, such as on Mac. Of course, it is very easy to type the messages on the browser rather than the app on its own. Using imassage on windows PC is quite difficult because Apple does not allowed windows users to use iMessage. So, imessage is only works within devices such as iPad, iPhone, and iPod. But, nothing is impossible, we already explore how to use facetime on windows PC. Because facetime also an apple product apple has not allowed to use facetime other than apple device. “Ipadian” best IOS emulator, with help of iPadian we can download iMessage on windows PC. To learn step by step process first go through – How to use ipadian. Once, get clear idea then download imessage for PC, Install iPadian on PC and use imessage on PC. Another, tricks is use chrome remote desktop. It is work to run facetime on windows computer. 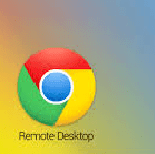 To learn how to use chrome remote desktop click here and use imessage on PC without jailbreak. Similarly, you can use imessage on linux using linux emulator. If you are a Mac user and looking to install imessage on mac PC then you just download iMessage from following link. 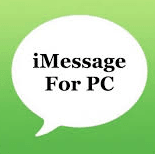 imessage on PC free download link – download on your PC. The iMessage, an instant messaging service sender used on your computer with the windows operating system, irrespective of the version, like 10,7, 8, XP or Vista, you have on your computer. Start enjoying sending messages from your computer, rather than the app with these easy to follow instructions and enjoy iMessage on PC.